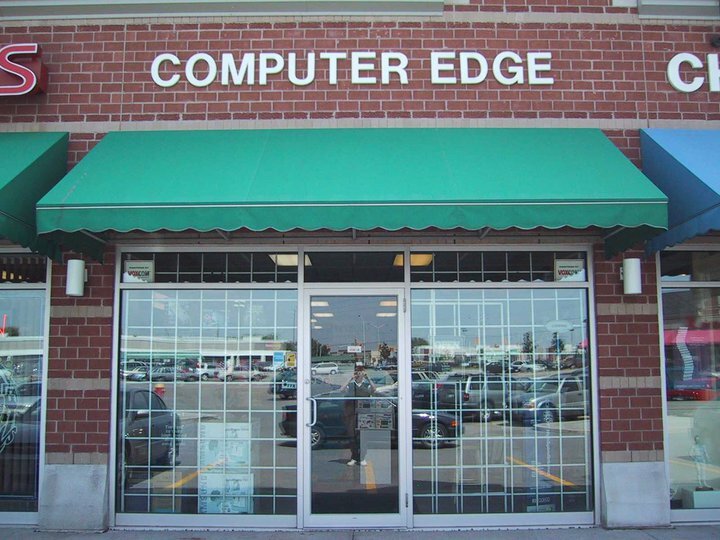 A simple computer store that offers laptop screen repair and other services. Located in Oakville by Trafalgar and Dundas. A computer repair store is a bit of a different sight to see around Oakville showing the breath of culture and needs that even a smaller town can create. What makes them unique is they're capability of troubleshooting and servicing Apple products and other micilanious devices as well as all otehr services you would expect from a large scale IT place. Moreover they are located right next to a large residential area so their customers don't have far to travel which can be a big help for someone with a busy schedule. Consumer technology is always an interesting topic because its main purpose is to reduce the amount of time it takes for a task to be completed however many users who are not comfortable or familiar with this technology continue to do these tasks the manual or long way. While ignorance to a technology's capabilities is a potential reason for this, my experience has been that these types of users just simply refuse to lean the newer and/or more efficient process of doing what they want to do. The majority of people I have talked to (outside of my tech. savvy friends) are terrified of playing around with software to learn what it can do and most of them didn't know or forgot that you can actually open up your computer's case. In their mind, building computers is something done in a factory, not as a hobby or out of interest to learn more about how a device we use every day works. For devices like computers that so many people use every day, many people know little about them and are happy not knowing more. It is strange that for something that is supposed to makes our lives easier, people do not want to learn more about it or what it can do. This is one reason why IT support has grown so important and the title of 'nerd' is bestowed upon anyone who knows how to plug in a USB cable.